At Valley Harvest we take care of each other like a family. Our congregational care is provided by a number of Ministry Teams and Service Teams, as listed below. For additional information, or in emergency and crisis situations, please contact the church office at (559) 665-2613. At Valley Harvest we strive to have an effective communication system with our church body. We have an automated text, email, and voice calling system to communicate with the people of Valley Harvest. This system allows us to send notification for upcoming events, reminders for meetings, service opportunities, crisis needs, and so much more. To be added to our list please contact the church office at (559) 665-2613 , email us at info@valleyharvest.com or fill out a communication card on Sunday morning and drop it in the offering basket. As a church body we are committed to praying for each other. If you or someone you know is in need of prayer, we would love to pray for you. Please submit an online request on our Prayer Wall. You may also call the church office at (559) 665-2613 or fill out a communication card on Sunday morning and drop it in the offering basket. If you would like to help us pray, visit our prayer wall. Valley Harvest families experiencing difficult circumstances (such as illness, death, dislocation, or other challenging situations) are encouraged to request a meal delivery. Volunteers prepare and deliver meals to those in need. Please contact the church office at (559) 665-2613 or submit an online request at the bottom of this page. If you would like to help, you can sign up to receive our Meal Train notifications. Our Benevolence Program is available to help our church body and the Chowchilla community in crisis. If you are in need, we require that each need request fills out a Benevolence Request Form that can be picked up from the church office. Once the form is submitted, it goes through a 7-10 day decision process where our board of elders review the request and prayerfully decide what needs can be met or what programs can be contacted for help. For questions or to submit a Benevolence Request, contact the church office at 559-665-2613. 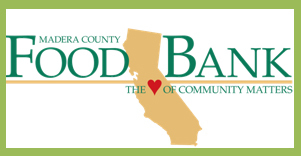 The Food Pantry is open each Friday (except the 1st Friday of the month) from 1:00 – 2:30 PM. We feed the hungry and homeless in our community. Each family registers and is eligible to come once each month to receive canned foods and non-perishable items. When the need is greater during the month, we have donated items we can give them. For questions contact the church office at 559-665-2613. Would you like to be added to our prayer list? Do you want to speak with a pastor? Do you just want more information about Valley Harvest?